Thanks to the flexible construction, the table can be fan-like folded out or composed to a geometric block. The upper and lower table plates are fixed, the three plates in the middle, however can rotate freely around their own axis, like that the table can form a variety of geometric shapes. Depending on the table tops' alignment, Rotor’s size varies between 63x63 cm and a maximum of 105x105 cm and thus provides for many storage possibilities. The selection of colours is as diverse as the table’s design. 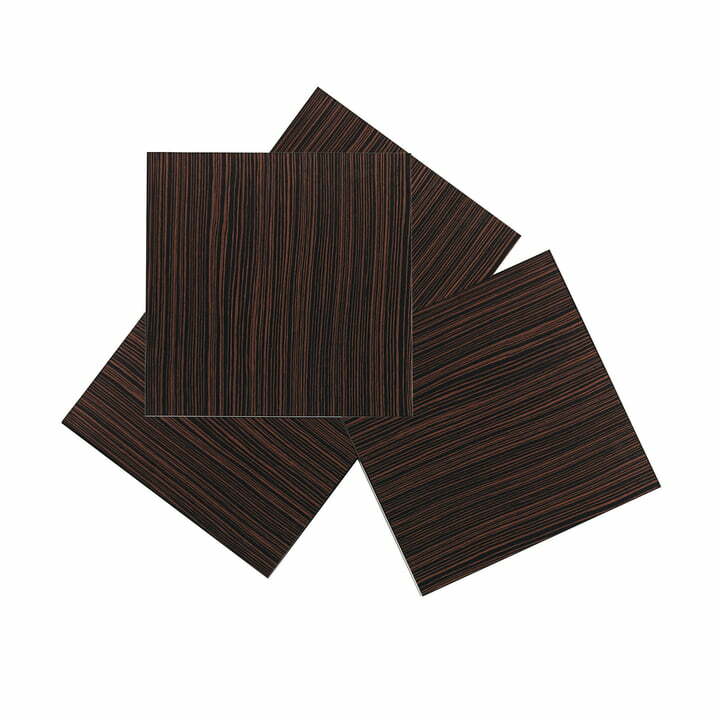 Laminated, veneered, lacquered matte or glossy surfaces give the design couch table Rotor by Kristalia a matching occurrence in any environment. Top and side view of the Rotor table. A table composed of five table tops offers a flexible design that allows compact use or a fan-like fold out use. 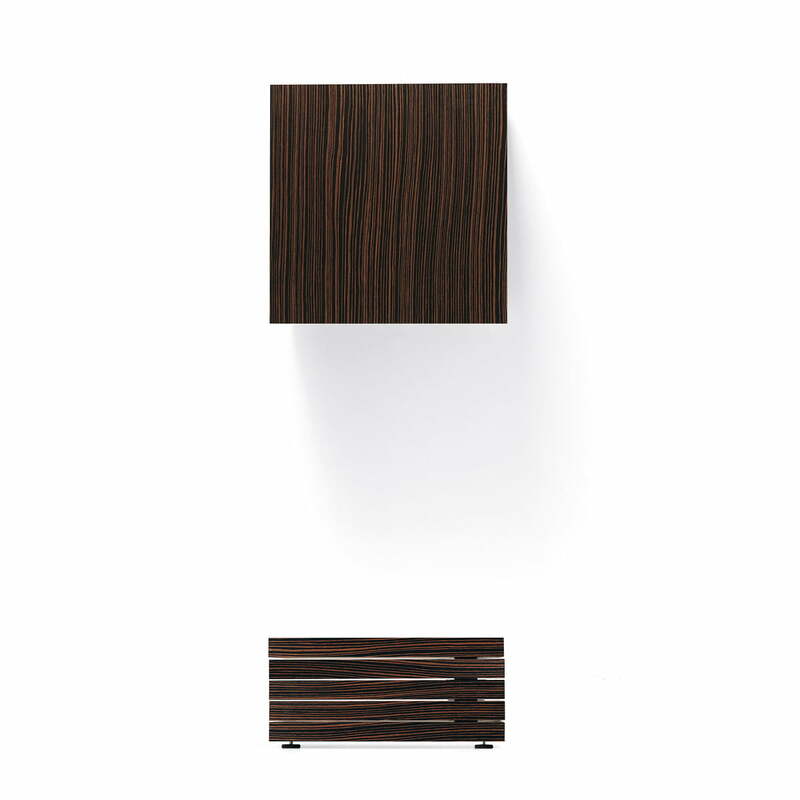 Single image of the unfolded Rotor table by Kristalia with matte black lacquer. 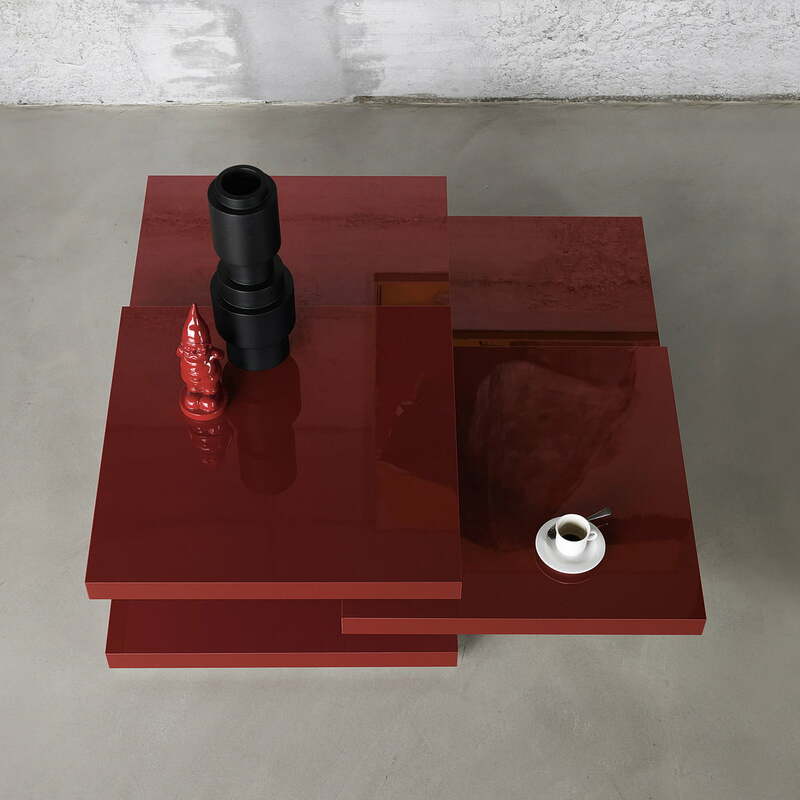 A flexible couch table by the designer Luciano Bertoncini for the home and object areas. Ideal for residential and object area. The Rotor table is a real quick-change artist. Thanks to its flexible plates, the table can be moved together over and over again and like that offer many shelves. 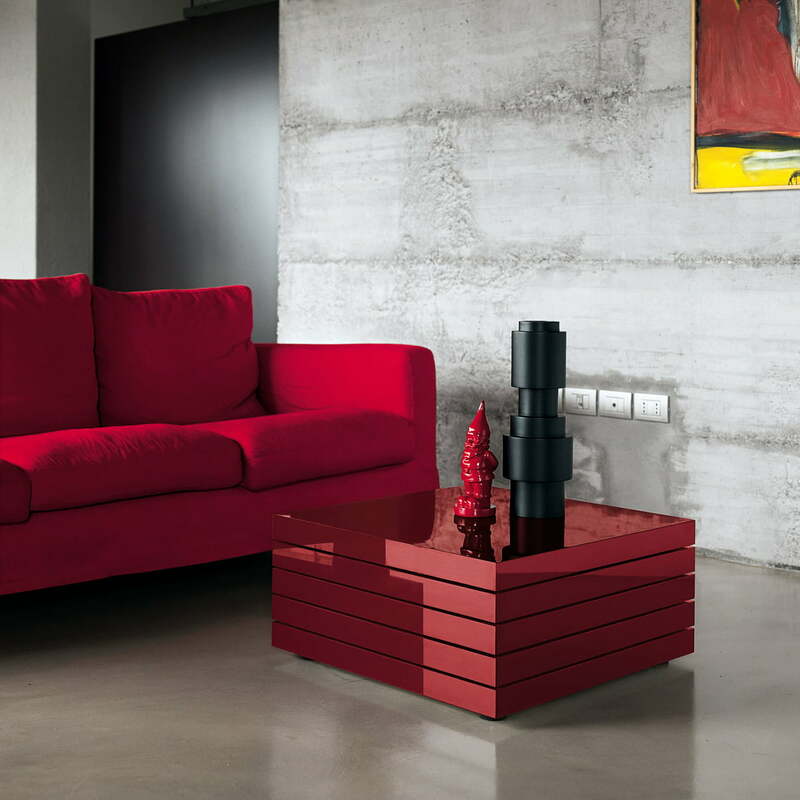 Shiny painted in red, the design is a true statement piece for the living room. The tops of the Rotor table can be spread out or compactly slid together. The design table offers a size of at least 63x63 cm and a maximum 105x105 cm.